Once one of the most successful printing houses in the region, Mladinska Knjiga is regarded as one of Savin Sever’s biggest architectural achievements. 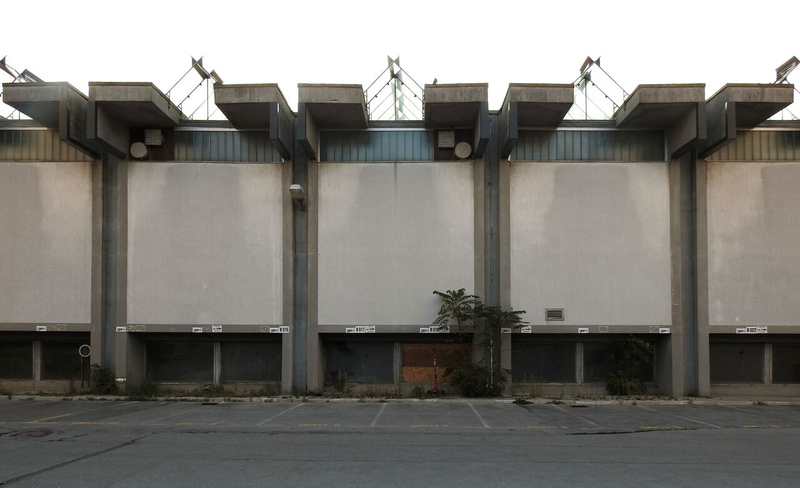 Unfortunately, the story of this building is also one of the saddest transitional stories in Slovenia. McDonalds in Parthenon… Easy to imagine, isn’t it? The suggested conglomerate explicitly screams: something is seriously wrong with how contemporaneity operates. It appropriates every single place and converts it in to a profit place: café bars infiltrate museums, bowling infiltrates cinemas, shops monasteries, Airbnb apartments. No hybrid is inappropriate. 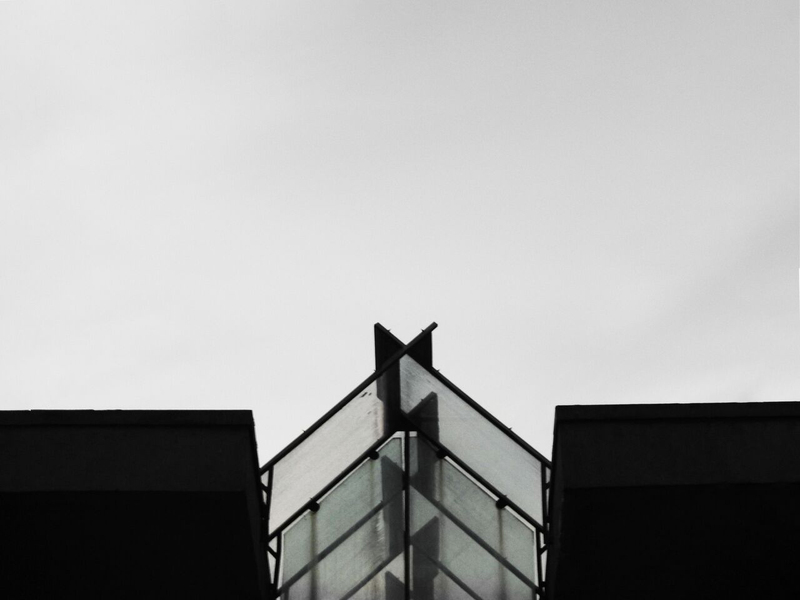 The city’s management exploits density-in-the-name-of-urbanity to cover the practice of privileging business over the creation of the city, which subsequently privileges a businessman over an architect (and a citizen/a human). The term city development is used only in the context of the successful selling/renting of land or infrastructure. Following this logic, vacant public spaces are not of any use to the city; any public space is a space out of service, under a constant threat of being “repaired” with some banal activity. There are sites, however, where such practice simply cannot hold: the Parthenon cannot ever merge with McDonalds. 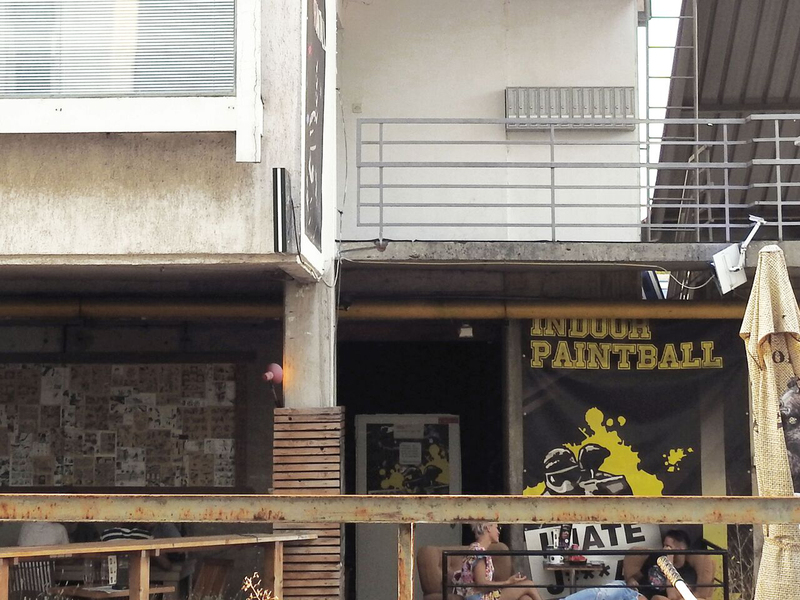 Why is then acceptable to fill the former Printing House Mladinska Knjiga with a fast food burger shop and an indoor paintball venue? The effects of managing architecture exclusively as property are made explicit in a Tripadvisor review: Mladinska knjiga today is nothing but a place of a great burger named Dirty Sanches. And, on social media, a place where one relaxes by shooting at its friends (facebook description of Indoor Paintball Ljubljana). Hardly anyone looks at Mladinska Knjiga today and sees the archaeology embodied in the Parthenon, fundamental to the formation of culture. Indeed, MK is an archaeological site only it does not feature a ruin, but a fully preserved reminder of the rise and a fall of a “common good” society. The analogy may be more obvious with the realisation that in the era of instantaneous sharing of post-truth, the printing press is facing extinction. In the midst of the 2009 recession the newly appointed management of MK stopped the production processes, traded in the machinery leaving over 300 workers unemployed. In fact, regarding the practice of printing books in a 22 000 m2 printing hall is as abolished as the celebration of Greek divinities is at the Parthenon. The loss of their primary function made both edifices totally impractical, if viewed through the lens of economic principles. As a result, the Parthenon is conquered with entrance ramps and tickets fees. Mladinska knjiga, however, is neither so spectacularly ancient as to make money out of sightseeing, nor does its rough appearance easily read as an architectural achievement. Thus, it bounces between developers who cannot yet liquidate it and is imploded by the loop of print-burgers, paint-balls, market-art, propertising-architecture.